• Use anywhere your shoes pinch or irritate - or apply to hands to prevent blisters. • Can be cut to any size or shape. 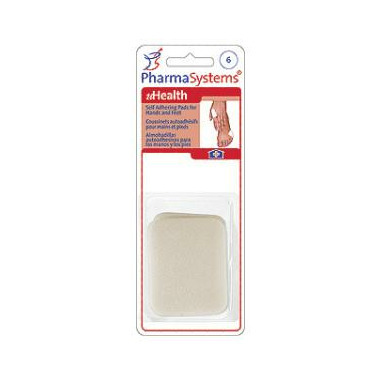 • Provides comfortable relief for sore, aching feet and hands. • Ideal for protecting tender skin, corns and calluses. • 6 pressure pads per package. • Keep a package in your medicine cabinet and in your work shop. Sometimes, you don't need or want the thick protection that moleskin offers but you need a little buffer between a slightly tender spot and your shoe. This thin protective pad was perfect for my purposes. I had a pressure point where my ankle bone rubbed against the inside of my boot. These stayed in place perfectly and were very comfortable.